Whites are airy and bright, and promote the feeling of openness. Paired with the high contrast of darker tones, it provides a dramatic look. While light colors, such as white, against white trim offer a clean, modern look. What is the best paint color for window trim? In most cases, we recommend white as the clear choice for just about any room. It’s timeless and classic. However, is white the only acceptable trim color? Of course, not! Second to white, blacks are commonly an option for interior trim. Rich and bold, this look is a trim attention grabber. For a more modern look, gray is undoubtedly one of the best choices for darker shaded moldings and trim. This color has recently gained popularity due to its versatility, as it pairs well with a wide variety of wood tones, styles, and colors. To pull off this look, dark interior trim must have spatial balance; dark baseboards, door frames, windows, and mantle, etc. Tip: Just be sure your room gets plenty of natural lighting to keep the room from feeling closed in. Not feeling bright white or deeper hues for your moldings? There are hundreds of colors that can make a fantastic trim color, depending on the walls and space. Try non-neutrals for a more unique, creative vibe. When using a non-neutral trim color, it should coordinate well with the wall color, as well as with the rest of your room decor. Tip: we recommend to use a lighter trim color against a dark wall. On lighter walls, if you’re not going with a shade of white, a darker color trim is your best option. Consider dark blue, dark green, or brown. If you are looking for a change, but you’re not sure what color trim paint to use, we can help! Our professional Chattanooga painters can offer friendly, expert advice that is personalized to your home and your desires. 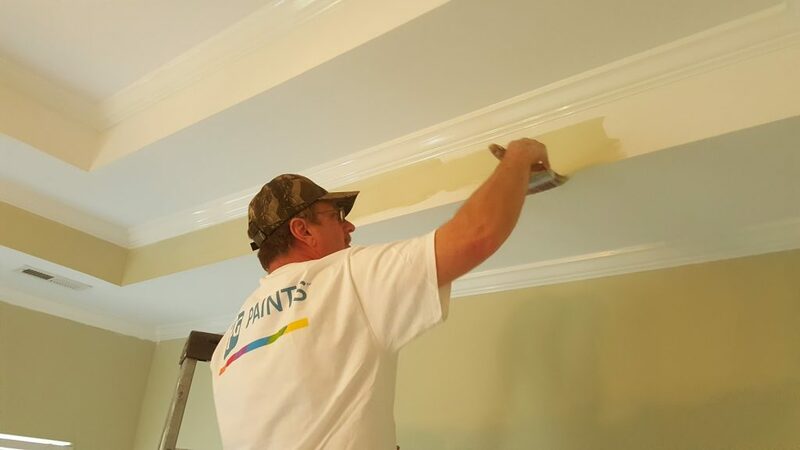 Scott Brown Professional Painting & Remodeling offers quality house painting in Chattanooga, Tennessee and the surrounding Tennessee and North Georgia areas. We provide both interior and exterior painting services, and so much more. Call us and receive your free consultation today. We would love to hear about your next project! Next Post Why Do Paint Contractors Offer Such Different Bids On a Project?